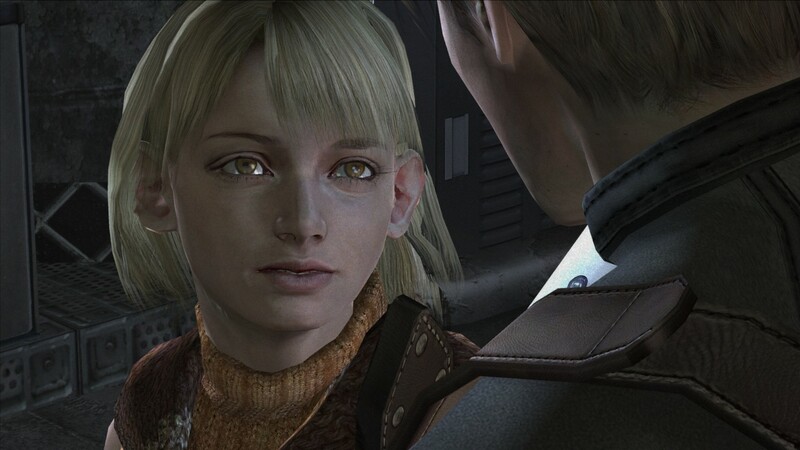 This entry was posted in Progress Updates and tagged ashley, chapter 2-1, hd project, resident evil 4 remaster. Bookmark the permalink. Thanks for the update. Looking forward to the chapter’s completion. Can’t wait for this bad boy to be finalized. You guys are awesome! Our favourite monkey-eared damsel in distress is looking better than ever! Good job with the punisher textures too. Can’t wait to see more on chapter 2! In my memories of NGC release there was a light on the torch, to say there was an item hidden in it if you break it, near the merchant in the cave at the beginning of this chapter, but was missing since PS2. I can’t check it right now I’d need a video or picture showing that. Do you have it? Are you 100% sure about that? Can you remember any other spinel in the game that shines before shooting the torch? please send me the link i love this texture. After verification it’s on the 1st PC release this litte help, the spinel is even visible attached under the torch and there was the same shiny effect you have for the items revealed after you break the torch in the tunnel between the village ans the chruch (chapter 1-3). To answer the question in the other response, yes there are others i remember, 2-1 after you got the key for the church in the room with the boat there is a torch on the right when you’re in, 1st chapter of the castle in the second room break the torch close to the door to the next room after the merchant, another later in the trial about lion and sacrifice in the room where sand is falling there is a torch here too, and maybe others but i remember that better when playing. But like i said ‘m more interested about your choice to do it or not. Ahh! the PS2 and old PC versions had visible spinels because you can’t break the torches in those ports. That’s the reason. Ah so that’s why, i’ve noticed it wasn’t breakable but i hadn’t thought it could be the cause of PS2. So yeah it makes more sense to leave it hidden like it originaly was, thanks. Thanks for all of your hard work, I can’t wait to replay this game in all it’s new found glory, I’ve finished this game at least 15 times and have all the achievements on Steam already, but this is one that never gets old! Por cierto una pena que el motor no permita esas sombras proyectadas, el juego de sombras con la linterna y los perros hubiese quedado brillante. Hi, congratulations for your amazing job on it. Instead of asking when will it be released, I would like to ask if you guys have a standard that you aim to achieve. Cause you know, a perfectionist without a deadline will never stop tweaking details and etc… And if you do, how far is it? We’ve reached that point with Chapter 1. As I mentioned, we’ll focus on next chapters and we won’t touch up anything else until the “pre-final” release is out. What if done with Chapter 1 (1-Post a video. 2-Pay attention to feedback and correct a few things. 3-Final huge comparison gallery for the entire Chapter) is what I want to do for the rest of the game. Thank you for being so kind and answering our questions. El modelo (persona) que escanean para modelar el personaje en cada juego es distinto. Cada uno tiene una nariz distinta. 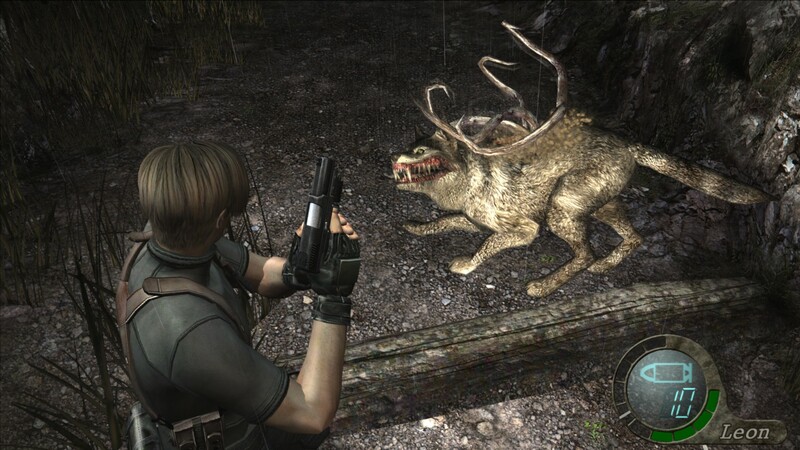 En RE4 la nariz es así, en juegos posteriores usaron a modelos que tenían la nariz más “afilada” por lo que parece. Así que no es una cuestión de que esté mejor o peor, sino que la persona en la que se basan para crear al personaje es diferente. Hay que recordar que estamos haciendo un remaster, no un remake, y queremos ser fieles al material y diseño original. Lookin’ great. Looking forward seeing geometric improvements on Ashley’s in game model. Take your time. Don’t need to work as fast as possible.. just take it easy and keep it enjoyable for you. Can I ask something that has nothing to do with your project? Does not this game have dynamic shadows? Because in my view, it looks like the shadows are something that stays static, as if it were drawn manually and not generated. Congratulations on the job, I have never seen anyone doing something on this level. Send a hello to Brazil. The game engine is too old for that. It would have to be change from very deep in the game code, and I dont want to imagine the amount of glitches it would create (if it is even possible). In any case, the shadows could change the artistic design of the game, and they are trying to stay faithful to the original version. So glad to see an update!! Thank you so so much for your work!! !